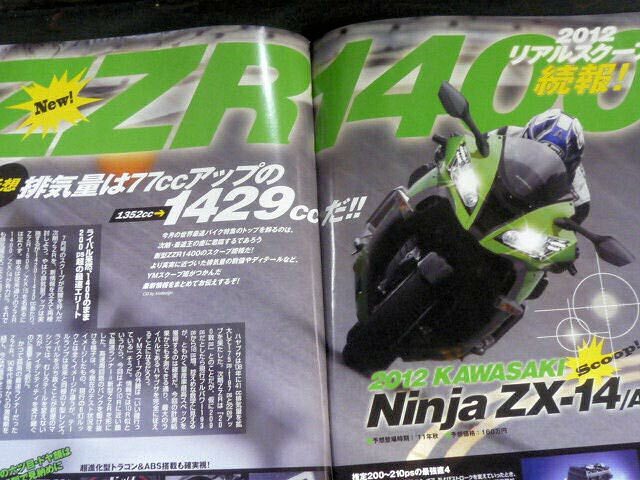 Are You the 2012 Kawasaki ZX-14 / ZZR1400? The internet has been abuzz lately with leaked/early/spy photos, some real, and some not so much. Looking a bit like the genuine article, we get another alleged glimpse at a soon to be released motorcycle before its public unveiling. 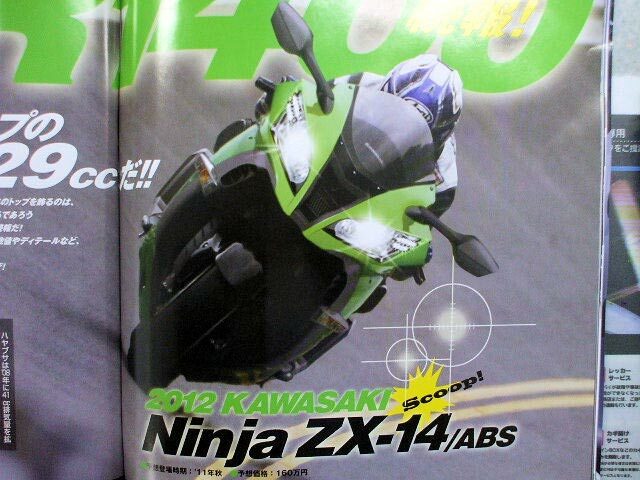 While Kawasaki has been busy teasing the interwebs with videos that feature a nice exhaust note, a flash of green light, and the date: 10/10/2011, it looks like Asian motorcycle magazine Young Machine has released its issue featuring the 2012 Kawasaki ZX-14 (that’s the 2012 Kawasaki ZZR1400 for our friends in other markets) a tad early. 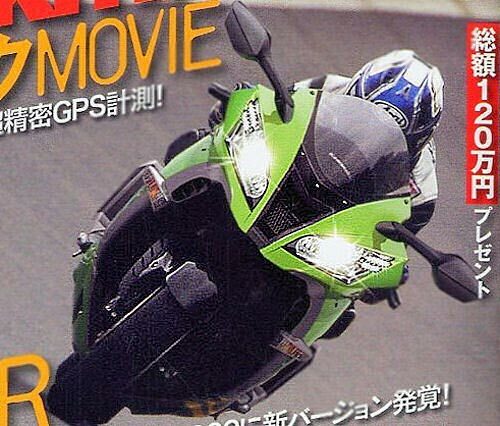 In what looks to be the first photos of the new Kawasaki ZX-14, we also get a look at some of the basic features that the new hypersport will boast in 2012, namely a 1429cc motor, anti-lock brakes, Kawasaki’s traction control system, and rider-selectable engine maps. 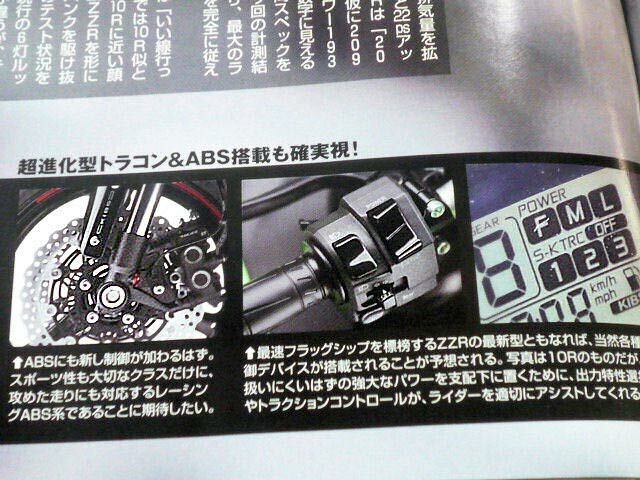 As for looks…ZX-10R owners will be pleased. 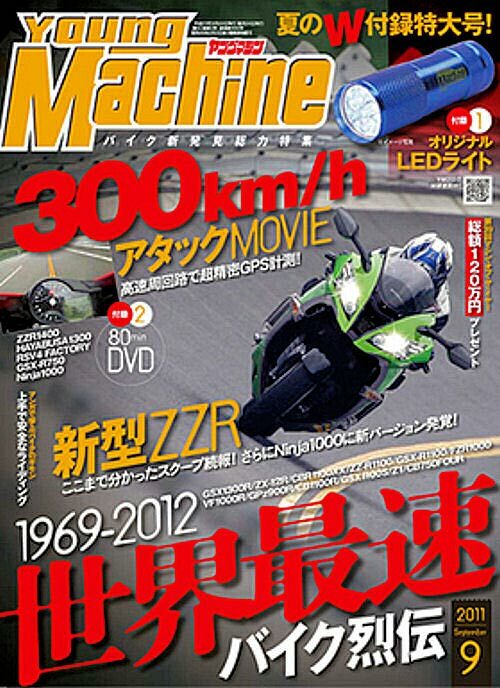 Photos after the jump, and if you read what appears to be Japanese, help us out with a translation in the comments. Thanks for the tip John!